Are you ready for a challenge? Want to develop and implement creative ideas? Chase a crazy deadline at the same time? Meet cool new people? You don’t have to be a designer, just someone with great ideas and an open mind! The event will be over the course of one weekend Nov 22. 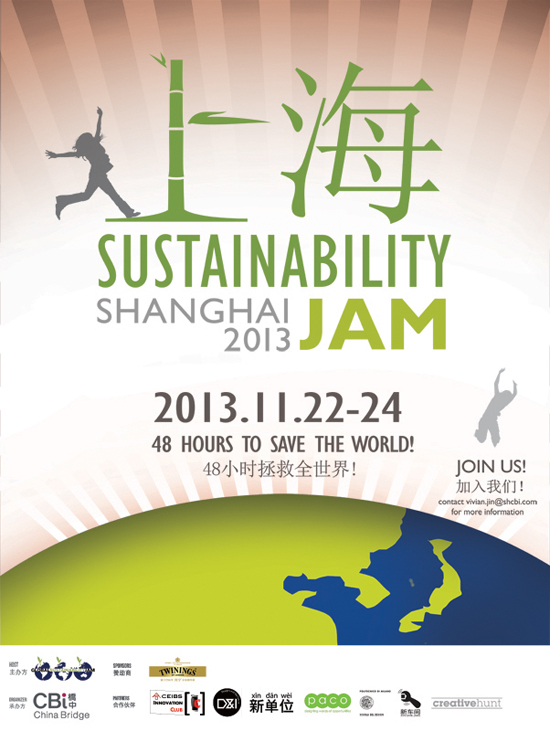 23, 24 Shanghai Sustainability Jam – Save the world in 48 hours! (See below for more details!) You are also more than welcomed to share this exciting event with your friends! What is Global Sustainability Jam? Global Sustainability Jam is the world’s biggest non-profit innovation event targeting sustainability. Creative and passionate people will meet to form teams and work to create brand-new real-world designs, projects and initiatives that will create impact on sustainability . The hosts will provide necessary support including guidance, toolbox and communication platform. During the event, all participants will take part in communication across different cities around the globe. 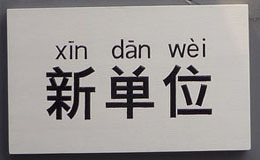 On November 24, 3:00 p.m. Shanghai local time, all the participants shall upload their work onto the platform (http://planet.globalsustainabilityjam.org/) and share them with the rest of the world. Learn more about the Global Sustainability Jam. * The Global Jam is conducted in ENGLISH! Anyone who has an open mind and wants to practice a hands-on approach to creativity and problem solving, make sure you are available to join ALL 3 days to ensure seamless collaboration and team dynamic. Jam is a great place to learn new skills, challenge yourself and meet great people while having fun. Your designs and projects have the potential to create a real impact on a more sustainable future. Be an Observer: If you can’t commit to all 3 days, you are also welcome to observe the jam on the Friday opening session and final sharing session on Sunday afternoon. CBi China Bridge, an insight-based innovation firm, wants to promote sustainability design in China, and introduce people to a design-based approach to creativity and problem solving though this exciting event. China Bridge’s role will be to provide a public platform for creative minds in Shanghai’s professional community and connect with the world.